This is the hilarious moment a gamer screamed in terror at his baby while playing a scary video game . 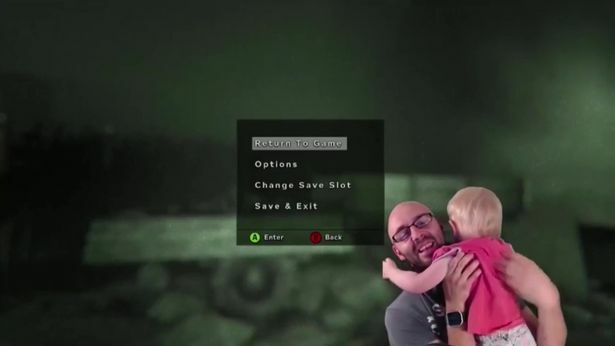 Gamer Jurassic Junkie was live streaming himself playing survival horror game Outlast 2 when his tiny daughter came stumbling in. 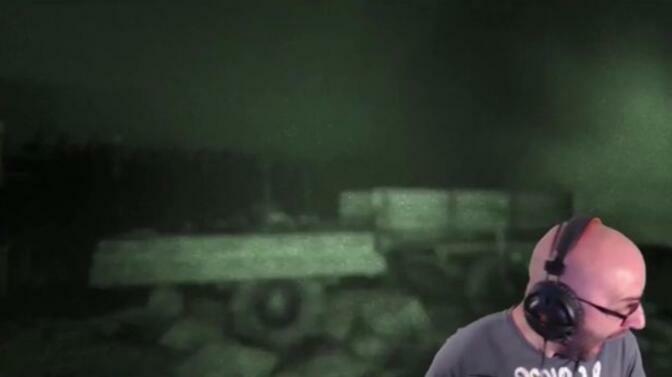 Footage shows the gamer engrossed in playing the game with his headphones blocking out all other sound. "Makes me really appreciate streaming normal games now where I can pause and smile and enjoy it," he is heard telling those watching the walk through. He fails to notice his daughter when she comes bumbling into the room - and is heard screaming in fright when she touches his leg. But he quickly realises his error, removing his headphones and picking his daughter up to comfort her. "Are you okay," he then asks the little girl. He then flashes a smile to the camera - reminiscent of how Professor Robert E Kelly was famously interrupted during a BBC interview by his two children bouncing in. The video has now been watched by tens of thousands of gamers on video site Twitch. It had already racked up 1,908,326 views at the time of writing, making it the most watched video on the site of all time.